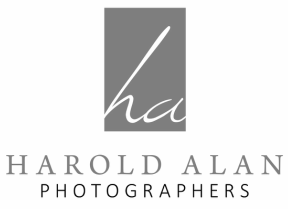 We at Harold Alan Photographers believe that the photography of your wedding is the most important part of your event. As the old cliche goes, "The photographs are all that's left after the guests have gone and the flowers fade," and to this end we give all our attention and effort to give you the best memories in your photographs that are possible. Your future joy and our reputation depend on it. Acclaimed as Atlanta's best and elite photographers, we convey through digital film the spontaneous moments alongside the traditional and timeless portraits of families and friends. Our photographs appear in publications, such as Modern Bride, Elegant Bride and Seasons Magazine. As photographers, we have been photographing special events for over two decades. This experience has empowered us to photograph your event with meticulous attention to detail. As journalists, we have learned to be unobtrusive observers seeking out the moments that will capture the spirit and personality of the occasion. As artists, we seek the unusual and try to capture what is unique in our clients. We are dedicated to the final product, conscious that we are producing memories that will be viewed and enjoyed by many for years to come.